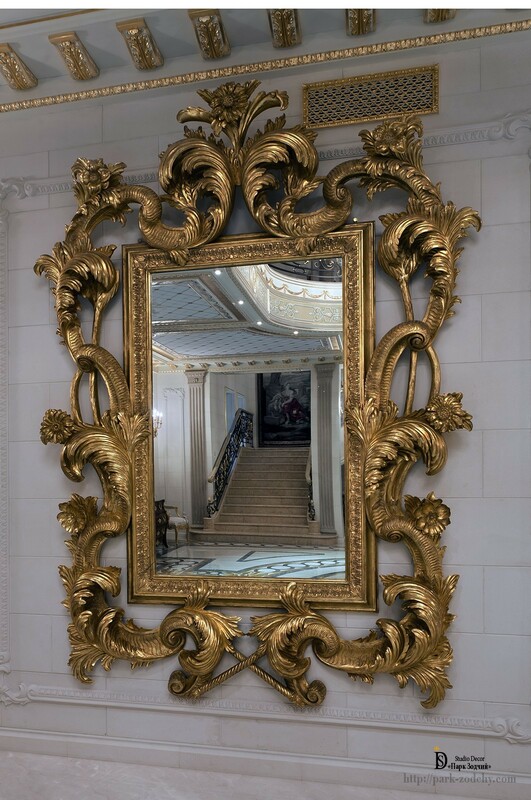 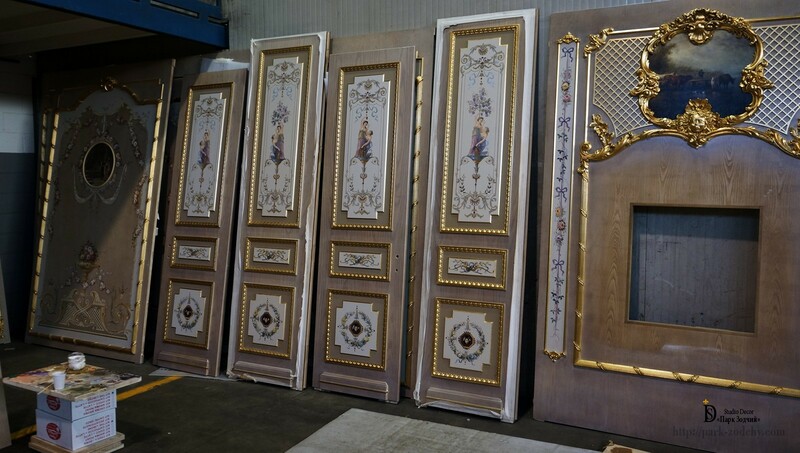 Royal Lodge, aristocratic furniture and the pretentious interior items decorated with gold, can emphasise the chosen stylistic design direction or become interior items that attracts attention. 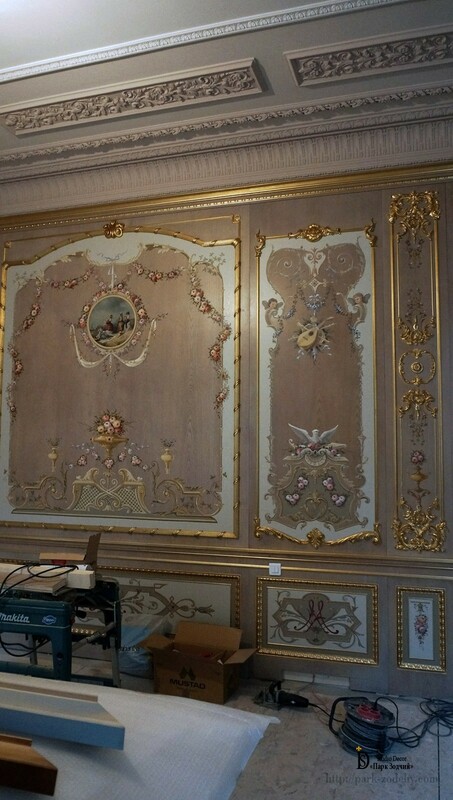 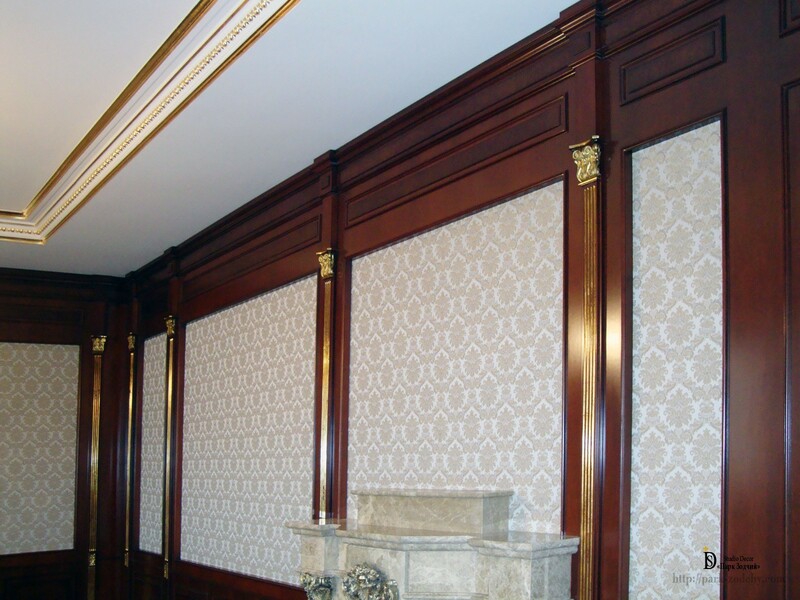 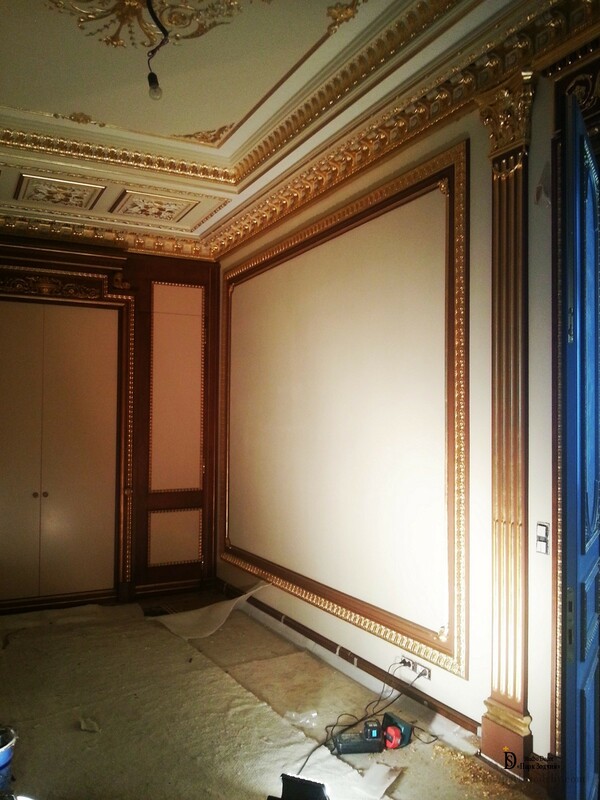 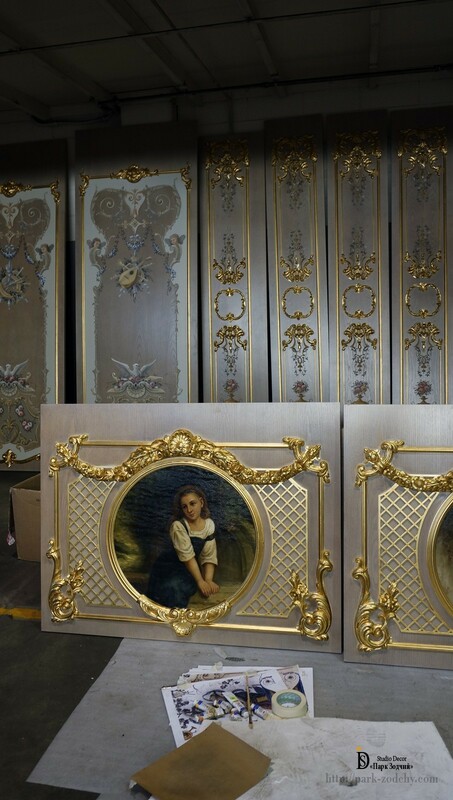 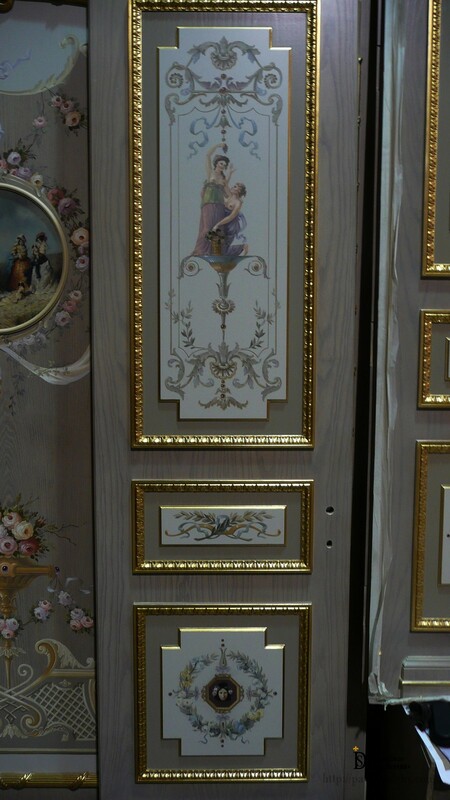 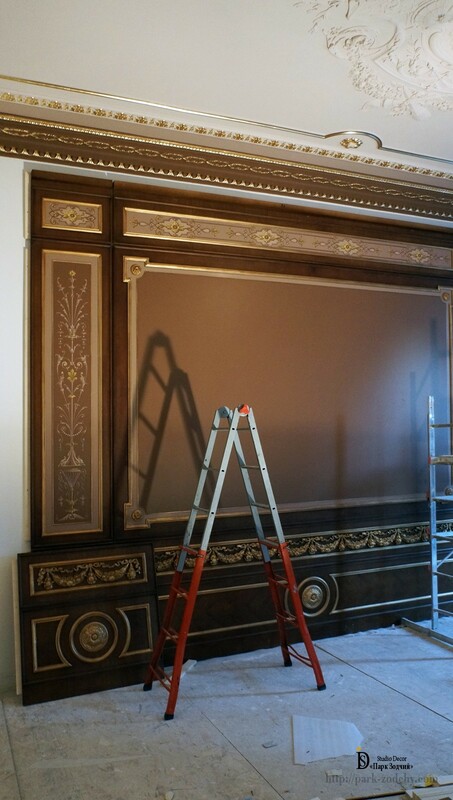 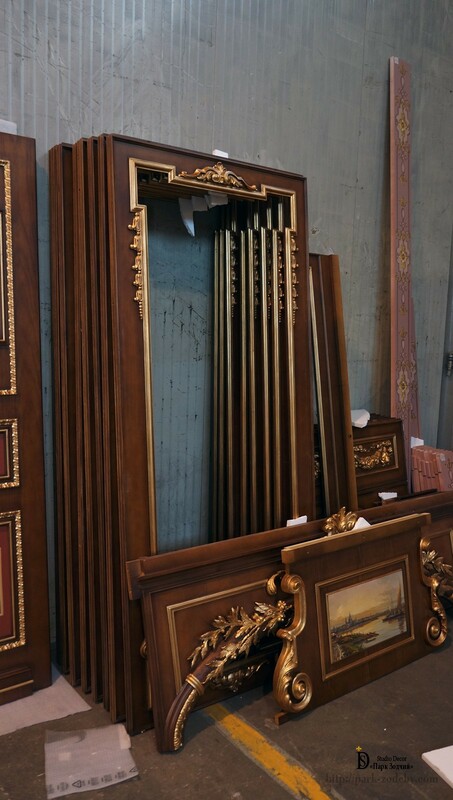 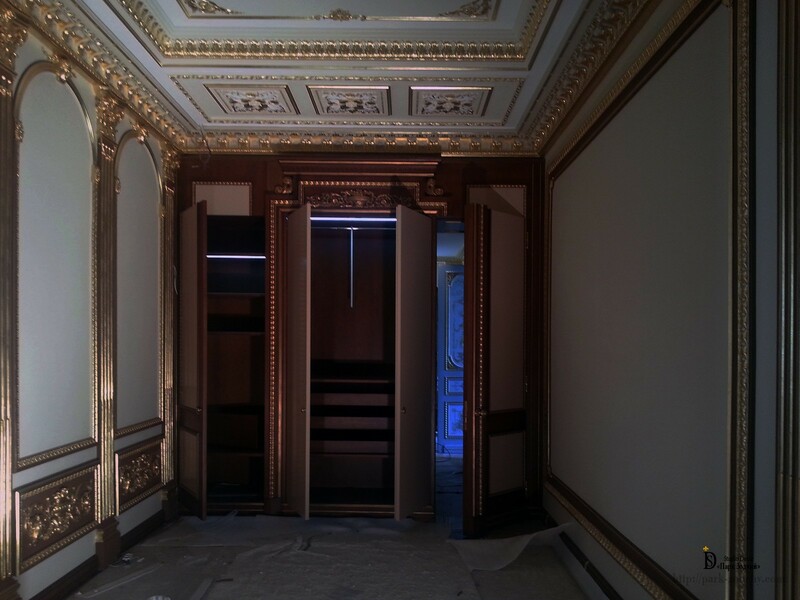 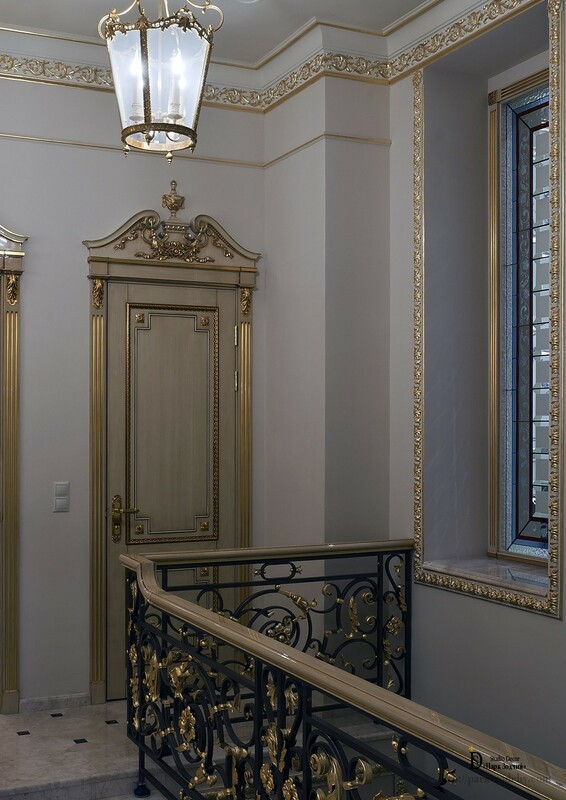 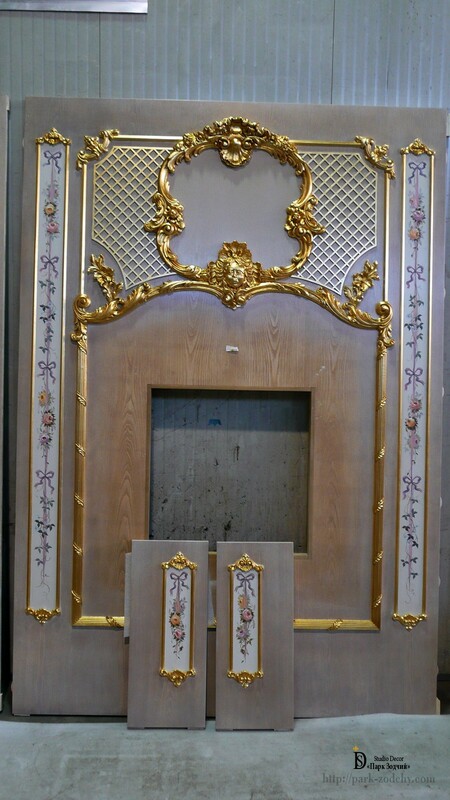 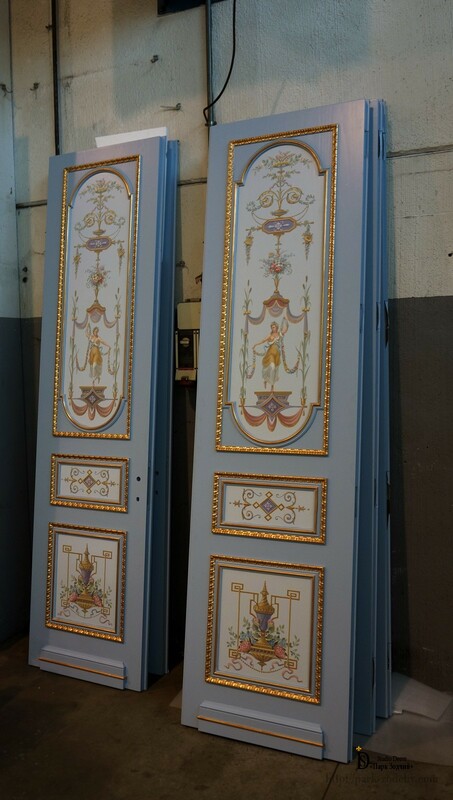 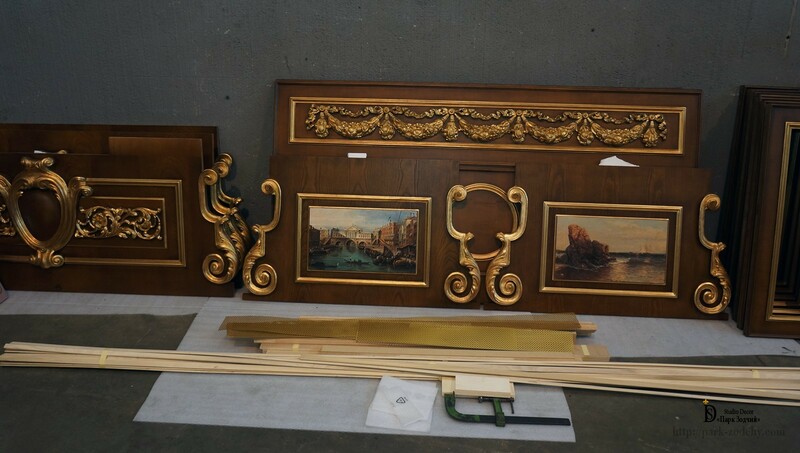 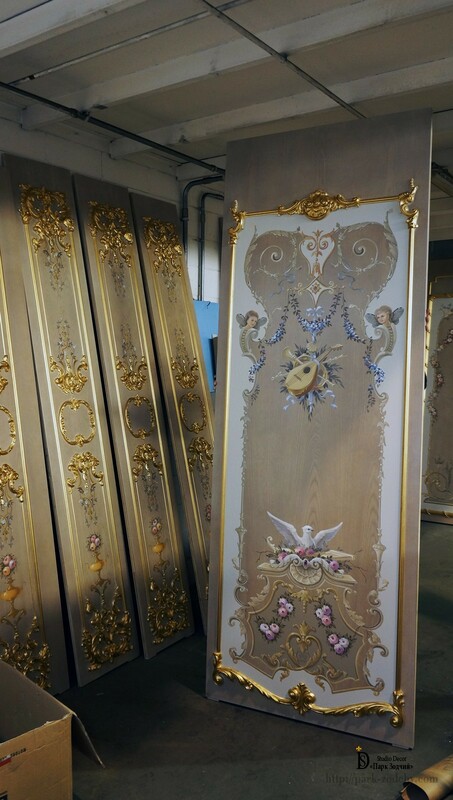 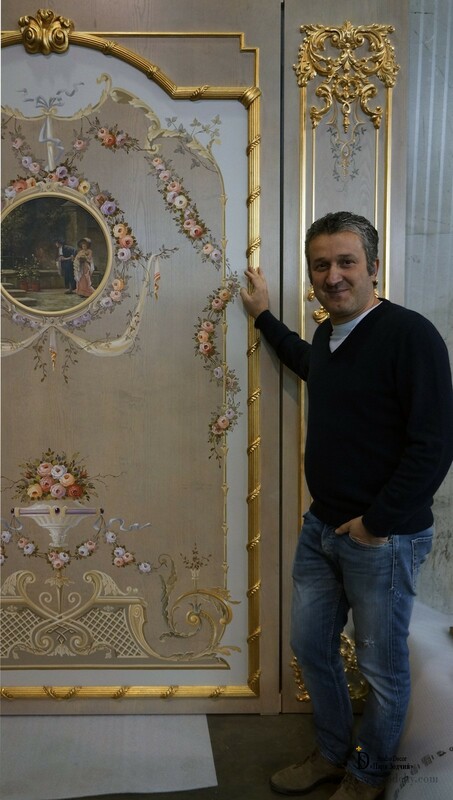 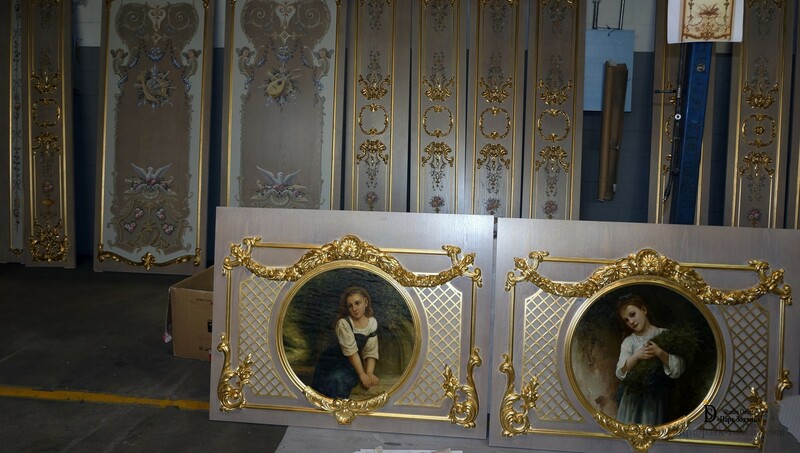 Gilders of the company "Park Zodchy" elevate wood gilding to an art. 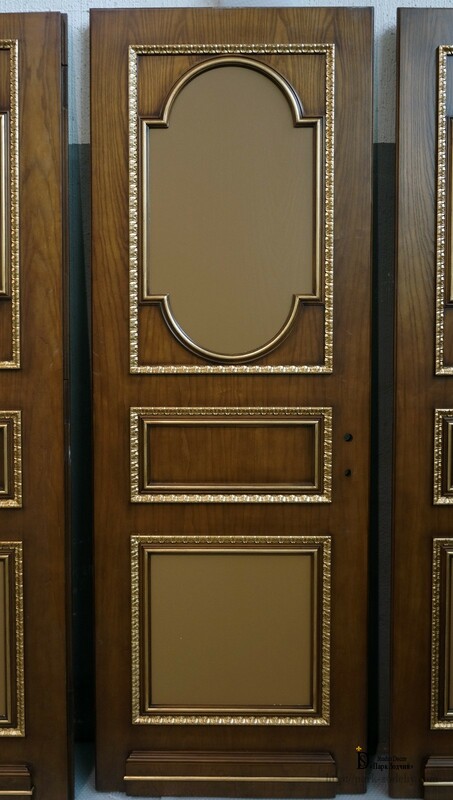 Shellac is laying, able to fill even the smallest pores of the wood. 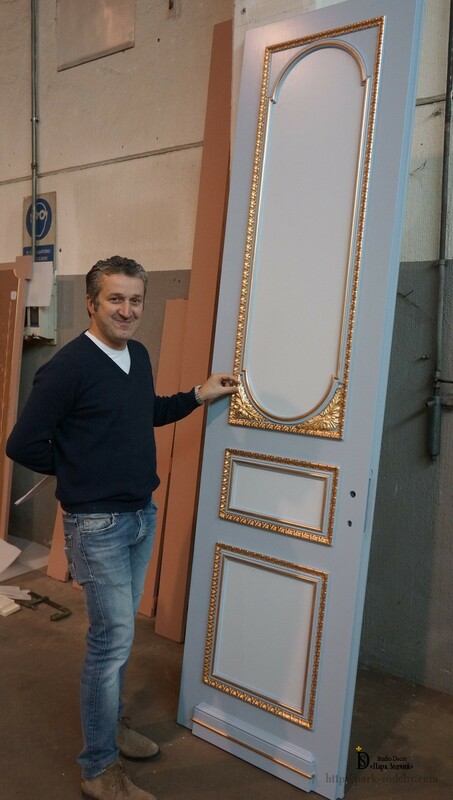 Carefully apply the priming coat. 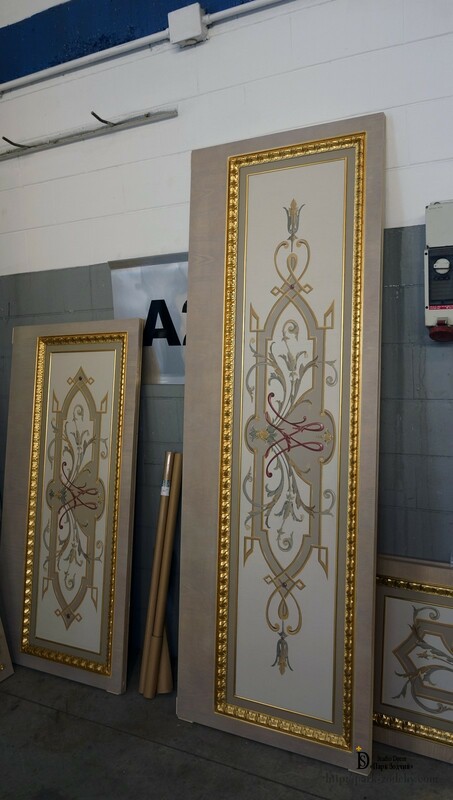 Depending on the desired result is applying the oil with golden ochre, adhesive with chalk powder or liquid glass. 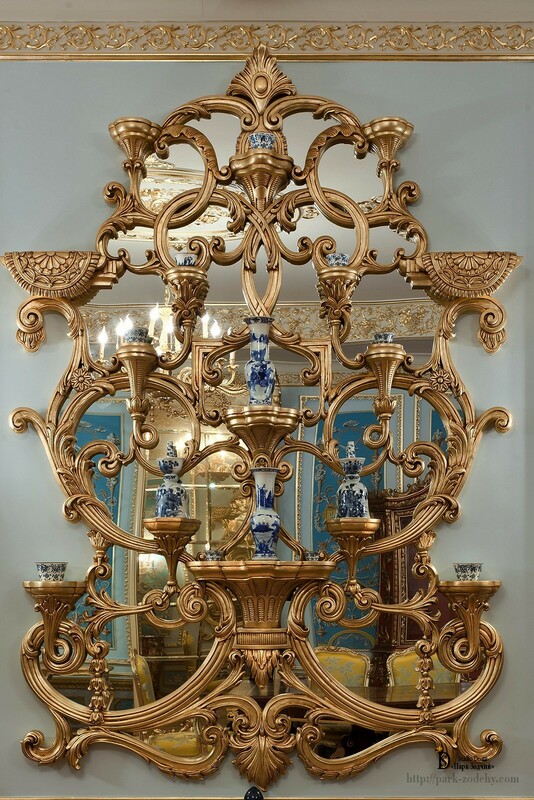 Objects covered with gold become presentable, majestic or admirable, long lasting. 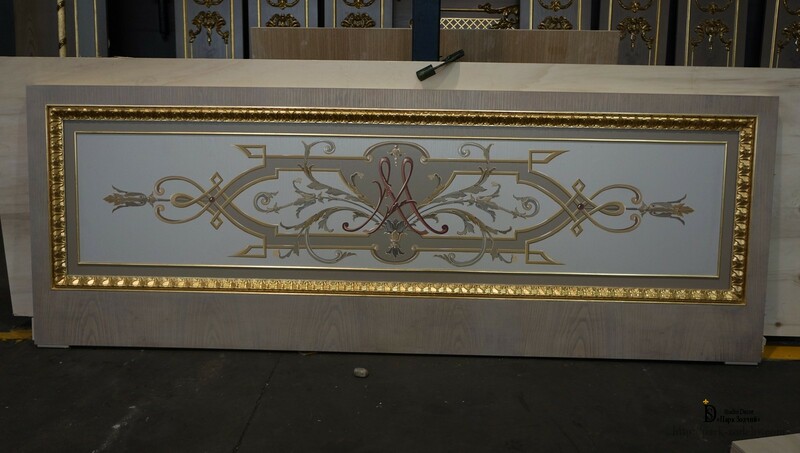 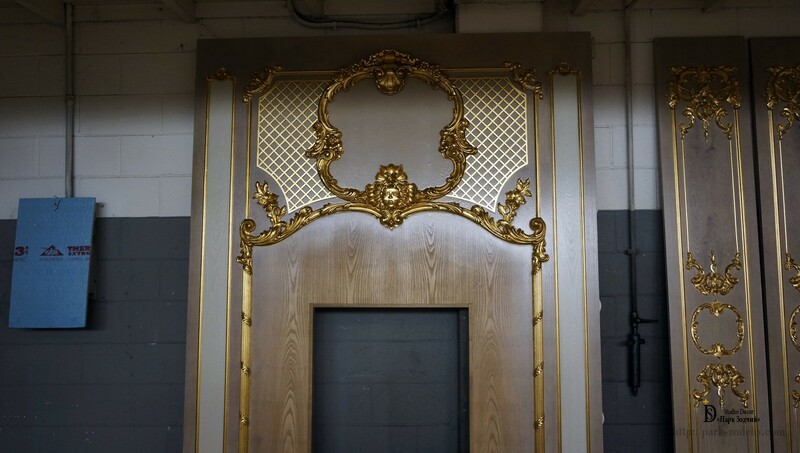 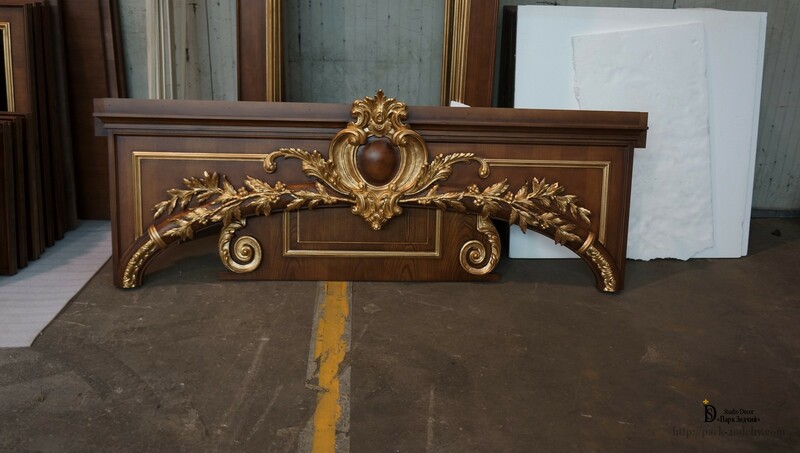 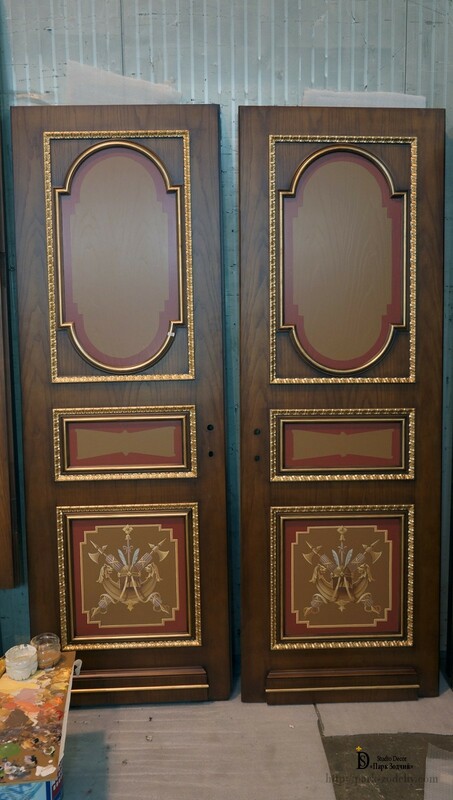 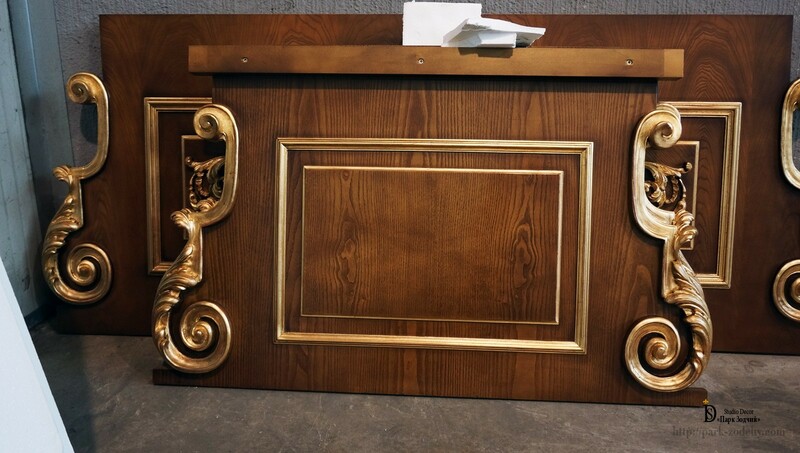 Depending on the customer wishes and the project concept, the wood gilding is made by imitation of gold, patina, bronze, silver. 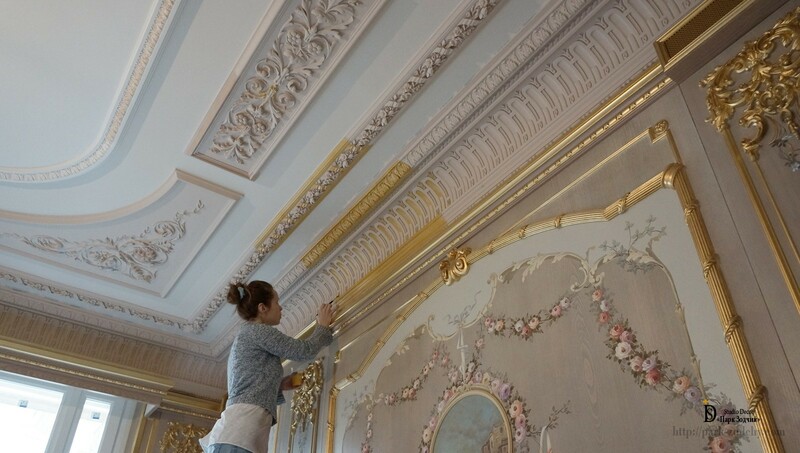 Unusual effect becomes after lacquering of finished surface. 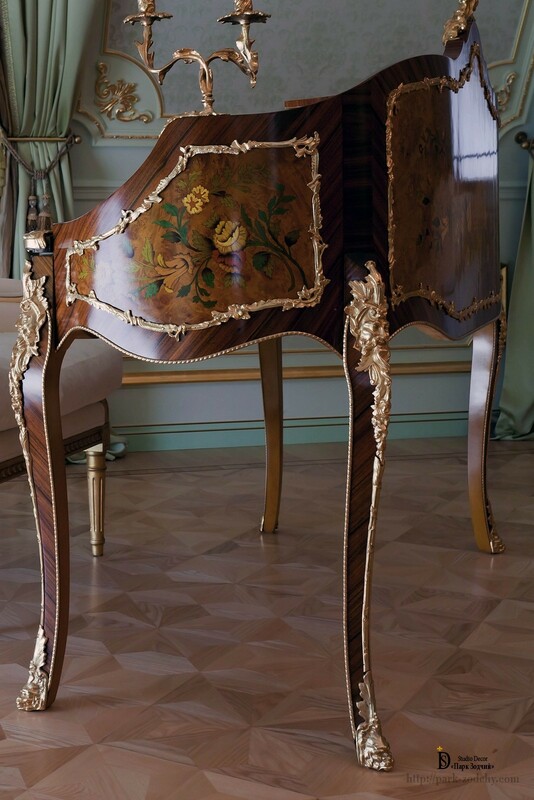 In this case, the details obtain exquisite volume.